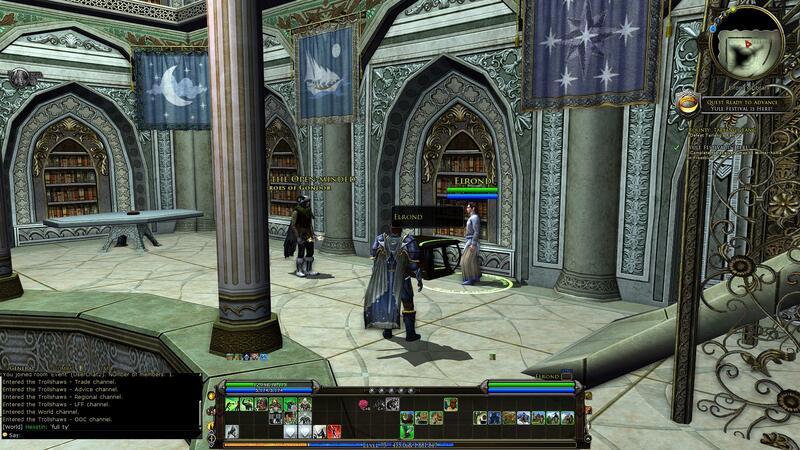 Legendary REBORN is a UI inspired by Legendary UI of the Third Age. 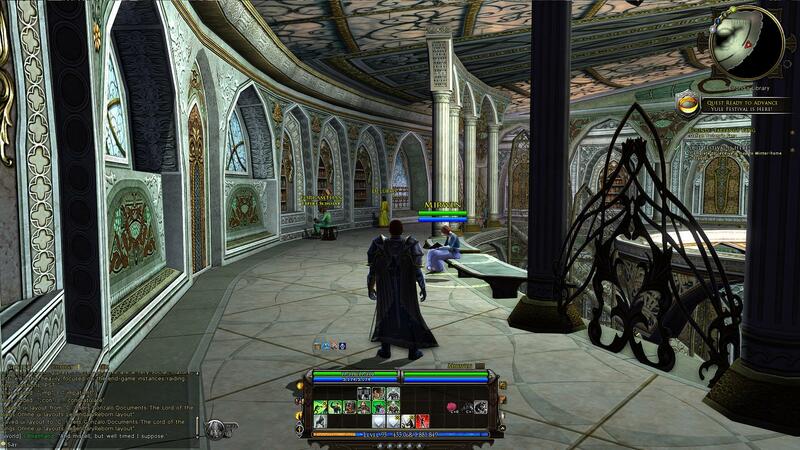 Theo, creator of Legendary UI of the Third Age, seemingly abandoned his project in 2014. I have reclaimed the project and brought improvements and tweaks to make Legendary REBORN the UI that Legendary UI of the Third Age aspired to be. Tremendous amounts of credit must be given to Theo who not only inspired this UI but contributed the majority of the artwork. I am always up for suggestions and improvements. Please use the bug tracker or feature request forms in my portal or comment below. ** Windowed mode will necessitate you to manually move elements around to work for you! Fixed Issue With Beorning's Wrath Bar. Should Now Display Correctly For Beornings. Improved Various BackEnd UI issues. Implemented 1600x900, 1680x1050, and 1366x768 versions. Added a new wide mode! UI with 6 bar support! You can now move the minimap with the graphic! Deed log background made easier to read. Introduced 1900x600 version per Kriptik's request! - Companion/Pet Names readded to UI. - Minimap undocked and returned to top right of screen. - Target of Target readded to UI. - Readded Mithril Coin Icon to various parts of the UI. 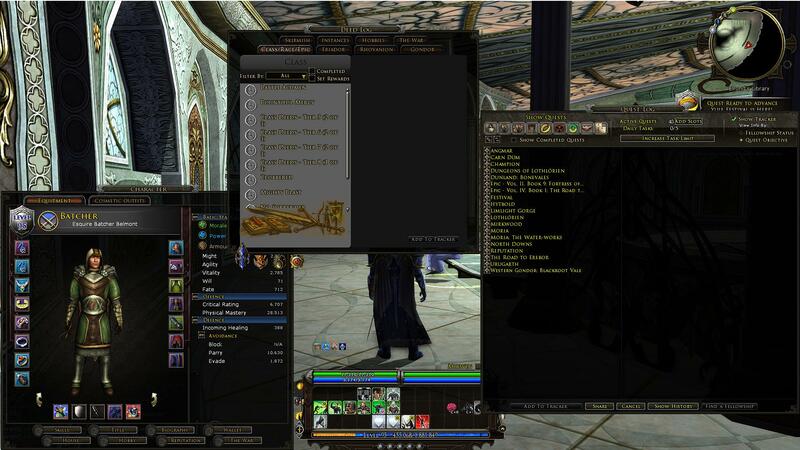 - Readded LoTRO Coin Icon to various parts of the UI. 3. From there, feel free to move the UI around to your convenience. Hello my buffs are currently stuck right in the center of my vitals and are not displaying above the vitals where they should be for either version. Is there any way to fix this? will it work in relation to the size of my screen? Last edited by magdalena001 : 02-27-2018 at 07:32 AM. Great UI! - very clean and tidy. I have an issue with it, i was wondering if you were still around you could help with? The vitals portrait doesn't work correctly, so doesn't display correctly, nor do i get the right click menu. do you know how to fix it - or can anyone else help? 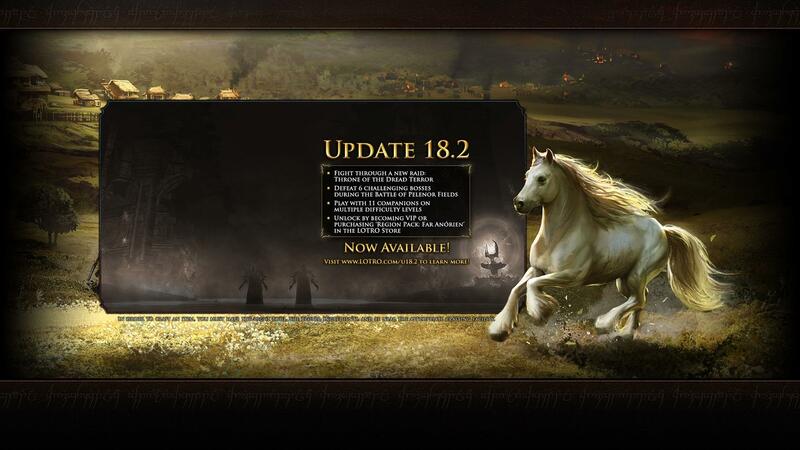 This is by far my most favourite LotRO UI. I just came across a problem when I'm playing with a German client (the French client should have the same problem I guess). But it's not a huge deal, I just had to change all the dots with a comma in the layout files. The other problem I don't know how to fix since I don't know the correct assetIDs for the missing player vital backdrops. So far I've noticed that three backdrops will be shown (10 years, Mordor and I think the one of the Deed Log which you get for collecting flowers or petals). Does someone know the player_vitals_backdrop IDs? Or knows a way to find the correct assetIDs? This is a great UI! Thank You!. I was wondering if you could make a wide version with 4 bars instead of 6 bars? Last edited by zarden : 09-04-2017 at 10:01 PM. Any way to make this work with 5760 x 1080? I can edit the SkinDefinition.xml file and get everything aligned correctly, it just displays 3 times, once on each screen. Hello, thanks for updating this UI. I am having one small issue when importing the layout (1920x1080 LegendaryRebornWide). Hotbar 3 gets hidden behind the UI element surrounding the hotbars. I can do CTRL + \ and click it to bring it back on top but it doesn't stay that way and I have to do it every time I log in. Last edited by Duir : 07-04-2017 at 03:21 AM. Last edited by JDrakul : 05-15-2017 at 06:33 AM. Thanks for this amazing interface. After many years I found one that I like better than my home made one. Just one question. I'd like to move the ui downward so that the XP bar sits at the bottom of my screen, and the focus meter is hidden off screen. I tried tinkering with things a bit but to no avail. Could you direct me a little in how to do this in the XML if possible? Love the idea but the 1600 x 900 doesnt load right. It still has the stock bottom exp and hot bars plus this one above it. No way to get rid of the original UI and no way to move this one down. Love the look but just cant get it to work right. Last edited by Tridyed : 05-10-2017 at 12:30 PM. The way buffs are now above the vital bar is great, but in raids where you have a lot of buffs, it means there can be enough rows where it covers the actual vitals bar and makes it hard to see both what your vitals are and what buffs you have. Is there any way for me to address this on my end? Nice skin, I would really appreciate a 2560x1440 resolution. Last edited by Valenthine : 02-09-2017 at 08:45 AM. I've a problem with the health bar, I can't move it!